Over the last few years, I’ve been working on a project that’s kind of a secret. 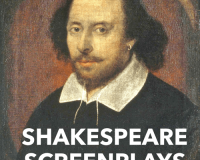 I’ve been reformatting all of Shakespeare’s plays into screenplay format from folio format. The first ones are up. And my Pros get them free. Every couple of weeks or months, there will be a new one available, depending upon my time availability. Mostly because I wanted Rehearsal users to be able to study and perform Shakespeare, while taking advantage of the processes for learning your lines and exploring your character that Rehearsal offers. And there are few plays that have more lines to memorize than does Shakespeare. Each of them are handcrafted – this isn’t me doing some sort of mass import and automatic formatting. I’m going page by page, making sure that every detail is maintained. And when I’m finished with each one, they’ll be available at the link above. All 37 will be available, as well as a complete archive. I’ve finished 4 12 19 27 33 of the 37 done, and am working on the rest. What’s the advantage of using this version of the play as opposed to the folio? All of these scripts work perfectly with the most popular and effective app for learning lines and rehearsing scenes, Rehearsal® Pro. And, as usual, if you’re a member of the VO2GoGo Pro group, you get them for free. Pop them in your cart, and use the same Pro-only coupon you use when you reserve your seat in class. I hope you like what you see, and I hope they help you if you’re in a Shakespeare production – and I look forward to your comments below. What a great demjonstration of your consistenly top level professionalism and magnanimity. Such a great service! This is fantastic. And amazingly helpful. Thank you, David! Which is all well and good. But if you’re pretty and you have a pretty headshot and you’ve eschewed all training “because you have a pretty headshot” — well, training is not a mystery. And the history of the literature on which we keep building the performing arts is not a mystery. BUT … maybe putting this literature “out there” in a form younger and aspiring performers will recognize will connect with some “of same”. So I have to say “I’d rather you got training before you ‘jump in’ — but if you can’t, at least there are resources like this, giving you some of the great literatures of performing arts — which I promise you DO echo down into our current moment. And maybe this is how we can make sure the literary forms survive. It’s sad even to type that — but I get it. A lot of folks won’t have the training as performers which will have required them to study these pieces. So — please, young actors, download every syllable of this you can. Then STUDY every syllable of it. Yes, you may never use it. But it is going to be nothing but “to your good” to learn the literature. And “learning the literature” is not going to hurt you. I promise. Here’s where the great character conflicts of all literatures — and also the great empowerments of all literatures – coincide. There’s a lot from which we can grow here. Thank you, David! 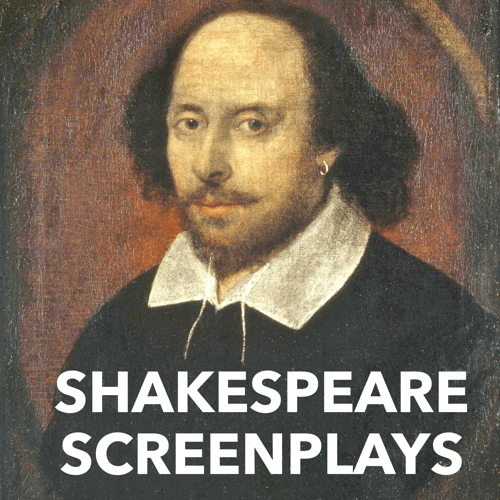 This is a valuable resource for anyone who loves The Bard! I get eye strain when I read from my Yale Complete Works because I am of a certain age and the print and spacing is soooo small! Plus, I won’t have to lug that 20 pound tome around. I’m looking forward to having them all at a touch on my RehearsalPro app! yay!